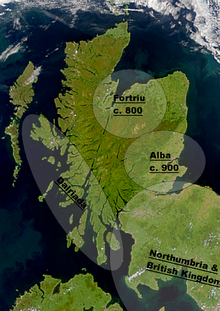 Fortriu or the Kinrick o Fortriu is the name gien bi historians for a Pechtish kinrick recordit atween the 4t an 10t centuries, an eften uised synonymously wi Pictland in general. ↑ Fraser 2009, p. 50. This page wis last eeditit on 10 Februar 2016, at 18:10.